A good business is a business that makes money, right? Sure. But, that is far from being the only factor when it comes to owning a company that works well. People have been searching for a golden formula of business success for centuries and we are not about to go into the most obvious factors of a successful business. Instead of talking about general ideas for business improvement, let’s go into some details and factors that get easily overlooked. Everybody will agree that employee productivity is a very important factor of your business success. However, what influences productivity? Again, the answer is – many things: fair compensation, excellent workforce, exceptional working conditions and even workplace uniforms. However, surprisingly to some – one of the biggest issues is workplace safety! You will rarely find somebody whose first association with a successful business is “They must have amazing levels of workplace safety!”, but once you read the ways safety improves your productivity, you may just change your mind. Either way, besides the standard safety measures, it costs you next to nothing to download workplace safety posters and put them in prominent places throughout your workplace. It goes without saying that you, as an employer, want to prevent accidents in your workplace. However, that is not always obvious to everybody. This topic is so important that workplace safety is a topic of a world congress that takes place in Singapore in 2017. What better way to show your determination to create a safe working environment, but to put up posters that will be a constant reminder to your employees that you want them to stay safe and healthy? This is a very straightforward and direct way of expressing the company’s attitude toward workplace safety in a way that is impossible to ignore and that it obvious to everybody. 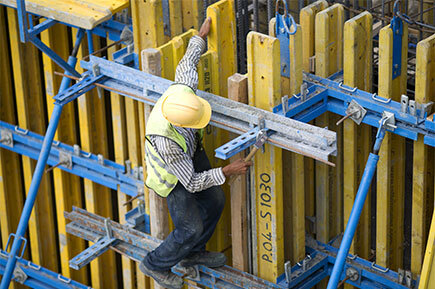 Many safety measures do not just require from the employees to be diligent when it comes to their own safety. On the contrary! They require everybody to also mind the safety of their fellow-workers. In this way, people are motivated to think more about others in their workplace and to care about their safety. That makes them closer to their coworkers and this, further, promotes the team spirit. In this way, indirectly, the safety posters that promote workplace safety, also increase the feeling of belonging to the team and that, consequently, boosts their cooperation and productivity. As an employer, you are responsible for a great deal of issues relating to safety in the workplace. To ease that burden, you need to use the posters to inform the employees about possible danger and/or to warn them to be careful. In that way, some of your responsibility is delegated to the workers themselves. If you warn them in an obvious and effective way about some of the possible hazards, and they still choose to be reckless, your responsibility in that situation can be quite limited. Check with your local state regulations for more accurate information. Accidents can lead to serious injury and even death. However, almost all workplace accidents are preventable. 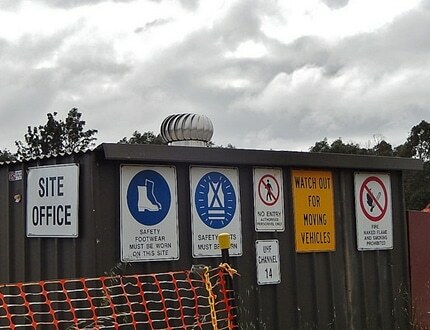 By putting up safety posters, warning and reminding your employees about the possible dangers, you are also educating them about their safety. For example, if they notice several signs that tell them not to partake in activities and tasks for which they are not trained, it will change their general attitude over time. At first, they would probably be more prone to direct some machinery or vehicle that they don’t have the training for because it seems easy. After being exposed to such signs for a long time, they will be less ready to do something so reckless. Therefore, the workplace safety posters can increase accident awareness and in that way help your employees stay safe. We have already explained the way workplace safety posters raise awareness about accidents and make people more sensitive toward the safety of their coworkers. When these effects combine, they make the workplace more safe and less accidents happen. In this way, by educating, warning and reminding people about potential risks, workplace safety posters prevent workplace accidents. Of course, money is a secondary issue when it comes to safety, but when you run a business it is a factor that cannot be ignored. Accident claim costs are costs that can and should be avoided by preventing the accidents. Workplace safety posters can even help reduce these costs. Less accidents means less accident claim costs. On the long run, this is not a neglectable cost and it pays off manyfold to prevent accidents rather than to pay for many claims. However, even if you do everything that is in your power to boost workplace safety, some accidents will happen. But, you can do your best to prevent them. Make sure that you reduce the number of slips and trips by renting out amazingly safe floor mats for your workplace, or do your best to keep the washroom perfectly sanitary to reduce the germs from spreading and causing diseases in your workplace. There is no need to plan any capital investments for this to happen. 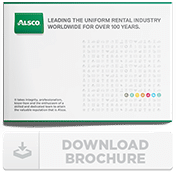 You just need to contact Alsco and rent all that you need to significantly increase the level of safety in your workplace. Call +65 64550150 and learn how to have a safe workplace for a reasonable monthly fee.